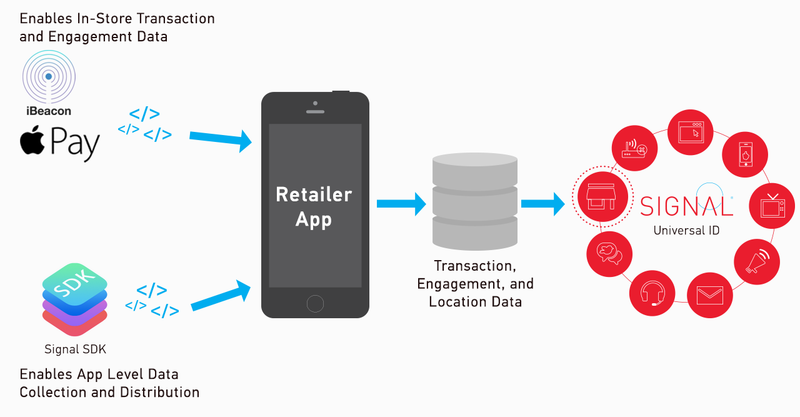 Below is the second part of our two-part series on Apple iBeacons and Apple Pay. Since the announcement of Apple Pay, Apple’s new mobile payment system, there has been lots of speculation over how this launch will affect marketers. We already know how essential mobile payments are for retailers, but with Apple Pay’s integrations and capabilities, it’s a whole new era for marketing on mobile devices. It’s also a new era for customers. Let’s start with how easy it is to use. First, you store your credit card information in Apple’s Passbook app. Then, you just tap your phone at a near-field communication (NFC) enabled point-of-sale system to pay in person, or tap the Apple Pay button to pay in an app, and you’re done. For the 800 million customers who have already given Apple their payment information through iTunes, they don’t even have to enter their credit card number. It’s just a simple button to integrate this saved information with Apple Pay. Retailers have already integrated, too. Disney, Macy’s, Whole Foods, Sephora, Panera, Walgreens and, of course, Apple stores are all on board to accept Apple Pay. Other brands like Groupon, Target, and Uber are integrating Apple Pay directly into their iOS apps. Using Apple Pay and iBeacons together with Signal, marketers can leverage fresh first-party data and shape a universal view of the customer. The idea of a mobile wallet is, of course, nothing new. Companies like Google, PayPal, and Square have all created solutions, but none of them have seen widespread adoption. Customers didn’t relate well enough to the pain points the mobile wallet solved and few retailers agreed to be among the first to integrate. In order for a mobile wallet to succeed, it must reach the tipping point when consumers and merchants move beyond the early adopters and the technology is embraced by the mainstream. Each competitor has lacked this essential network effect. Apple has the greatest chance of success because of its awareness, existing customer relationships, and brand trust. None of the other mobile payment players has put enough resources into consumer education, which has hindered adoption. Apple’s focus on providing adequate marketing resources puts them ahead of the pack. It’s also a matter of timing. There’s a new industry initiative that requires merchants to upgrade their point-of-sale systems next year. This upgrade is intended to reduce the risk of fraud by accepting EMV (computer chip credit card) payments, which are more secure than the traditional magnetic stripe. Payment terminals that accept EMV are typically able to accept NFC payments as well. There will be more merchants who accept contactless payments in 2015 than ever before. Customers, retailers, and marketers are all ready for this change. If Apple Pay becomes mainstream, marketers will have access to a whole slew of data they’ve never seen before. Apple Pay operates on a login-centric ecosystem that revolves around the iCloud credential and your biometrics through your fingerprint. This single login ID seamlessly unites all Apple devices and cements Apple’s future as a deterministic marketing technology company. By completely dismissing cookies, Apple could change the way ad technology tracks users. But that transactional data will be increasingly important to marketers who are advertising through iAd, Apple’s advertising platform. When Apple Pay and iAd integrate, the in-ad purchase button will have three main impacts for marketers. It will increase attribution for mobile ads, boost mobile commerce, and complement marketers’ ability to specifically target customers who are ready to purchase. Apple Pay means marketers can get hard info on whether those ad campaigns are working. Throw in iAd’s new retargeting feature and things get interesting. We know 97% of users abandon their cart in a retailer’s app; the retailer can now retarget a user with an in-ad purchase button for the abandoned item. Apple’s primary motivation for iAd is to help publishers monetize their apps. Twitter and Facebook are already using tap-to-buy ads, but they keep the profits for themselves. But because Apple is sharing revenue from in-ad purchases with publishers, those little buttons on iAd will allow publishers to generate more mobile ad revenue from their apps. iBeacon users can leverage the integration of Apple Pay and Passbook to change the customer experience. Advertisers can give customers the option to save offers directly to Passbook, and marketers can even send coupons themselves directly to a customer’s Passbook. That means a customer at checkout can use Passbook to get a discount, and then buy with Apple Pay — and the promotion and payment all happen on the mobile device, generating useful data. Apple Pay is a powerful method of creating a single view of the customer on a mobile device. This data is extremely useful to retailers, telling them everything from in-store behavior to mobile app purchases. But it’s up to marketers and publishers to pull these brand new data points and make use of it; Apple won’t be doing that. Signal can collect this data for you, stitch it together, and then send it to your vendors so you can measure and act accordingly. Our real-time triggers let you immediately market to an individual customer based on the way they engage with your brand. Signal makes it possible to leverage this newfound first-party data — and to shape a universal view of the customer. Caitlin Yacu was formerly Product Marketing Manager at Signal.